A Review of America’s War Theaters: Iraq, Syria, Afghanistan. Will the Middle East Crisis Worsen in the New Year? Washington’s extensive military maneuvers in the Middle East since Sept. 11, 2001, have largely failed, creating far worse calamities at great cost to the people and countries of the region — and there is little reason to suspect this will change for the better in New Year 2016. Actually, it could get much worse despite UN talks in Vienna later this month to seek a temporary cease-fire in Syria and the beginning of discussions on an eventual new Damascus government. The abrupt break in diplomatic relations between Saudi Arabia and Iran, plus the formation of a new Sunni coalition to « fight terrorism » and new maneuvers by an assertive Turkey could exacerbate existing conflicts. Even as the Obama Administration scrambles to confront the Islamic State and a resurgent Taliban, an old enemy seems to be reappearing in Afghanistan: Al Qaeda training camps are sprouting up there, forcing the Pentagon and American intelligence agencies to assess whether they could again become a breeding ground for attacks on the United States…. The scope of Al-Qaeda’s deadly resilience in Afghanistan appears to have caught American and Afghan officials by surprise. Again. A day earlier USA Today reported « Afghanistan’s security situation is so tenuous that the top U.S. commander there wants to keep as many U.S. troops there as possible through 2016 to boost beleaguered Afghan soldiers and may seek additional American forces to assist them. » There are nearly 10,000 U.S troops in Afghanistan today and half are scheduled to depart by the end of 2016 — but Gen. John Campbell, the U.S.-NATO commander in Afghanistan, suggested the larger number, and perhaps more, should remain indefinitely. • IN IRAQ, WASHINGTON’S DISASTROUS WAR has lasted nearly 13 years from March 2003 with the exception of two and a half years until returning in August 2014 to fight against the Islamic State (IS) — itself a product of the first war. President Obama propelled the second intervention soon after IS captured Mosul, Iraq’s second largest city, in June 2014. Late last month, after losing much ground, Iraqi forces backed by American air power recaptured the key city of Ramadi, destroying a large portion of the city in the process. The battle to recapture Mosul may take place this year. An Iraqi Kurdish soldier fighting the IS. 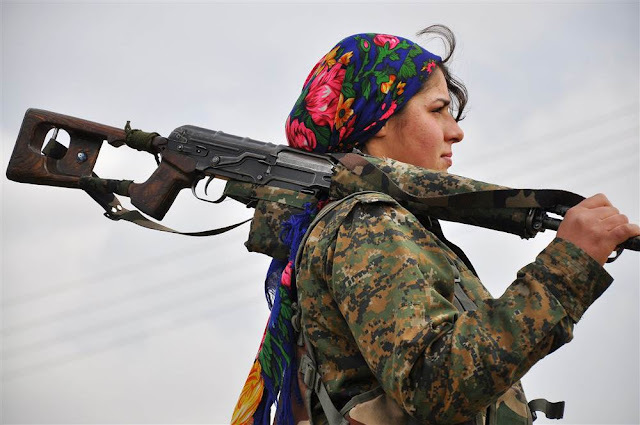 These women are often on the front lines. However, many sources in and out of Congress argue that only a significant ground war will ultimately defeat the Islamic State in both Iraq and Syria. This could take many years. Aside from 3,500 U.S. military « trainers and advisers » in Iraq, President Obama is reluctant to engage in a ground campaign in either country, given the Pentagon’s difficulties in actually winning winning a major war in the Middle East. If political pressure doesn’t oblige him to deploy a large number of ground troops against IS this year, there is a likelihood his successor may do so in 2017. Regardless, the Iraq war will become more intense in 2016. (1) The Islamic State is a militant Sunni « caliphate » based on Islamic fundamentalist Wahhabi doctrine mainly propagated by the Kingdom of Saudi Arabia. The IS evidently considers its main enemy to be the Shia branch of Islam, which departed from the Sunni version in the 7th century. Virtually all of the many Sunni jihadist groups follow a form of fundamentalist Wahhabism or the nearly identical Salafism, and most condemn adherents of Shia Islam. The IS « state » occupies large portions of two Shia-governed countries, Iraq and Syria. Sunni Arabs in Iraq — most of whom do not share fundamentalist views — constitute 15 to 20% of the Iraqi population. But many oppose the Shia controlled Baghdad government. Unless a substantial number of these Sunnis turn strongly against the IS, defeating it will be more difficult. Kurds make up 17% of the Iraqi population and are described as « mainly secular Sunnis » who seek independence from Iraq in the future to build their own independent state — but at the moment they supply the most effective ground forces against the IS. The Shia represent up to 65% of the population but have long existed under Sunni rule, usually as secondary citizens. It was only after the U.S. destroyed the minority secular Sunni government of Saddam Hussein and his B a’ath Party that the Shia won power in an election. The Bush/Cheney Administration probably knew that regime change in Iraq — Iran’s enemy neighbor to the west — could strengthen the Shia government in Tehran, but since they initially planned to invade Iran (as well as Syria) after Iraq was subdued they ignored the risk. The U.S. sank so deeply in the Iraqi quagmire that it never was able to expand its ridiculous imperialist escapade. (2) NATO member Turkey is intervening in Iraq against the wishes of the Prime Minister Haider al-Abadi. President Recep Tayyip Erdoğan, who leads the Sunni Islamist-leaning government in Ankara, persists in refusing a demand by Shia-governed Iraq to remove the several hundred soldiers and heavy equipment he sent to northwest Iraq Dec. 4, ostensibly to enlarge a smaller Turkish unit training Sunni and Kurdish fighters against the IS takeover of Mosul. On Dec. 9, Turkey instructed all its citizens in Iraq to leave the country, except those in Kurdish Iraq. Turkey is fighting against Kurds in Syria, and its own country, but not the Iraqi Kurds, which have cordial relations with the U.S.
Erdoğan, whom the New York Times editorially described Jan. 6 as « an authoritarian leader willing to trample on human rights, the rule of law and political and press freedoms, » has been taking a variety of aggressive steps in recent years to enhance Turkey’s and his own power in the region. M. K. Bhadrakumar, a journalist and former Indian diplomat, reported in India Punchline Dec. 31: « President Erdoğan paid a daylong visit on Dec. 27 to Riyadh to meet King Salman. The Arab newspaperAsharq Al-Awst reported the two leaders decided to form a ‘strategic cooperation council’ with a view to create a quantum leap in the strength of the relationship between the two countries so that it is strategic and serves the interests of the two countries and their peoples, and contributes to the creation of security and stability in the region. Evidently, the Turkish-Saudi entente is based on a congruence of interests. A prominent Russian pundit Yevgeniy Satanovsky, who heads the Middle East Institute in Moscow, has warned that Turkey and Saudi Arabia may be planning to step up their longstanding covert support of the radical Islamist groups operating in Russia’s North Caucasus. In recent statements President Vladimir Putin had also signaled that Moscow’s patience was wearing thin over Turkey’s support of subversive elements in Russia and things were coming to a pass in bilateral relations even before the downing of the Russian warplane. • THE SYRIAN CONFLICT IS IN TRANSITION after nearly five years of what has become a decimating civil war, pitting the Islamic State, al-Qaeda’s al-Nusra Front, scores of different jihadi organizations and a small number of secular forces against the regime of President Bashar al-Assad. So far over 200,000 people have died on both sides and millions of Syrians are internally displaced or have fled the country for a very uncertain future. 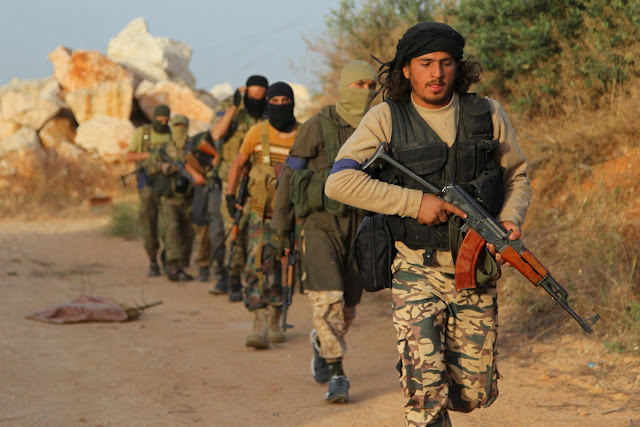 Al-Qadea’s Al-Nusra Front troops fighting against the Syrian government. The United States — the regional hegemon toward whom nearly all Arab states offer deference — became a powerful supporter of regime change in Damascus beginning 2011, even though Washington did not dispatch combat troops to join the civil war. Obama’s most reliable supporters in the region are Saudi Arabia, Turkey, Gulf monarchies and other Sunni countries seeking to oust Syria’s Alawite/Shia led government. All have provided the rebels with abundant political and financial aid plus military equipment. The objective of the U.S. and its allies is to replace an Alawite/Shia government friendly to Iran, Iraq and Russia with a Sunni led regime friendly to themselves, but not the fundamentalist regime desired by many of the rebel organizations and some of the Sunni governments. The U.S. and its NATO foreign legion will not allow a jihadi government in Damascus for obvious reasons. At most President Obama will tolerate some representatives of the fighting rebel forces to have a say from obscure posts in a new regime, but nothing more. The regional allies agree because that is what the U.S. wants. If any turned against Washington regime change could be their fate. Other reasons for obeying Obama include the danger they all feel from IS and possibly a reinvigorated al-Qaeda, and the fact that Russia has now become a Middle Eastern power that may give them trouble. The Oval Office has gradually came to realize — long after unsuccessfully seeking to create an anti-Assad leadership coalition largely composed of Syrian exiles — that jihadi militants are virtually in total command of the civil war and that unless dynamics change the removal of Assad c ould lead to a humiliating « terrorist » takeover in Damascus. Obama also was getting criticism because the military campaign against IS was not making sufficient progress. The first was in 2013 when Obama was about to launch a bombing campaign against Syria for allegedly violating his « red-line » against the use of chemical weapons. A majority of the American people and many in Congress opposed the move, but Obama felt he had no alternative that would allow him to save face. Putin then convinced Assad to dispose of his entire chemical arsenal, which provided the White House with a valid reason not to launch an unpopular war. The other instance is when Putin used Russia’s good relations with Iran to help bring about the now successful Washington-Tehran negotiations regarding nuclear matters. The upcoming UN talks on a temporary cease-fire in the Syrian war and the beginning of discussions on an eventual new Damascus government largely depend on an agreement in next months or years between the U.S. and Russia, despite each supporting the other side in the war. Most fighting Jihadi rebels and their Sunni Arab and Western supporters want Assad to resign before negotiations for a new government. 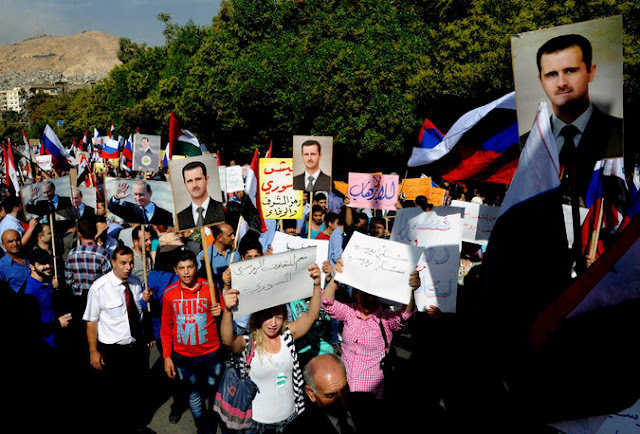 The Syrian regime and its supporters, including Russia, stipulate that Assad has considerable support in Syria and that he should be part of the decision on candidates. (According to the June 4, 2014, New York Times: « There is no doubt that Mr. Assad has considerable support in parts of Syria. ») It may in time be possible to resolve this exceptionally complex matter — but it is only half the equation. Here’s the other half: Regarding a cease fire several score well armed and financed Sunni Islamist jihadi rebel fighting organizations are supposed to turn their guns away from the Syrian government and toward powerful Islamic State. The U.S. is behind efforts to help organize and finance this hoped for new coalition (although U.S. troops will not take part). Some Arab countries are supposed to send troops as well as the existing jihadists. The powerful Nusra Front has not been invited to join the coalition because of its al-Qaeda connection but since it views IS as an enemy rival it may well not be a coalition target unless it advances on its own to the gates of Damascus. The Nusra Front has worked in collaboration with many of the « moderate » jihadi groups that are supposed to become part of the coalition. Washington seems naïve or desperate to think a significant number of jihadis will stop fighting Assad in order to take on the Islamic State even if there are big bribes to do so, unless the deal is to fight IS for a while then go back to displacing Assad. Obama’s latest efforts to create a « moderate » fighting coalition resulted in « four or five » recruits at the preposterous cost — hold your breath — of $500 million before the program was ended. Some rebel groups can no doubt be bought off but it seems possible others might join IS or Nusra Front or continue on their own to battle for Sunni Islamist control of the government. Though far from defeated, [the Islamic State] is nevertheless being harried across several fronts, experiencing significant losses in Syria as well as Iraq…. In northern Syria, the Kurdish-dominated [and U.S. backed] Syrian Democratic Forces are driving their offensive onward, crossing the Euphrates River in numbers after seizing the Tishrin dam [and] are now advancing westward toward the Islamic State-held town of Manbij in northern Aleppo…. 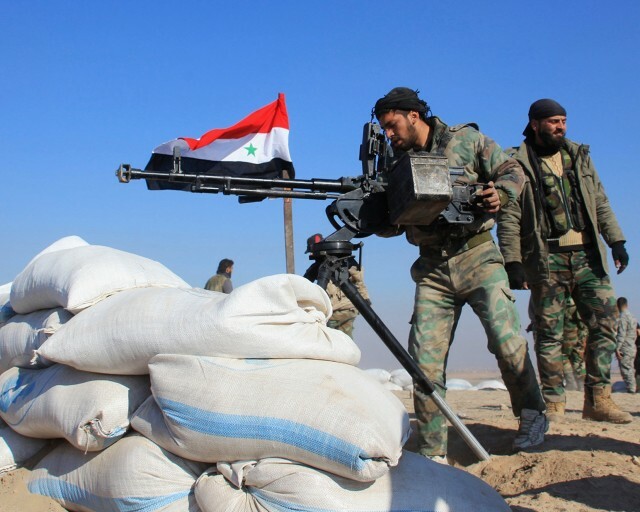 Syrian government forces, with backing from foreign militias and the Russian air force, have also been pushing hard into Islamic State territory. The Syrian army is expanding its control over terrain close to the formerly besieged Kweiris air base, where a number of Syrian loyalists held position for years against persistent Islamic State attacks. On Dec. 29 the Syrian government also reportedly took back the strategic town of Maheen, 16 miles from the vital M5 highway controlled by the IS…. 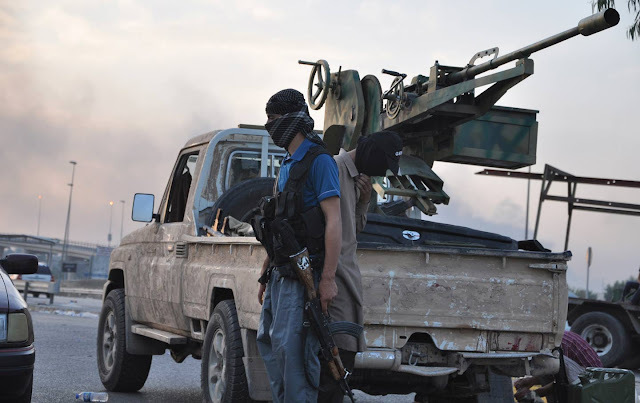 The Islamic State is unlikely to be pushed back everywhere in the short term, and it is still capable of carrying out its own offensive operations, as it has done in Deir el-Zour in late December. However, it is increasingly difficult for the group to achieve the major battlefield victories it won previously as it stretches its forces thin and encounters persistent aerial attacks. (1) The gravest charge against President Assad is that he has he killed 250,000 or 300,000 « of his own people, » which has repeatedly been broadcast by many U.S. TV news stations and repeated by a number of Congressional members. (Turkey’s President Erdoğan just upped the figure the other day to 400,000.) Without justifying the government’s seemingly indiscriminant use of « barrel bombs » in populated territory under rebel control, exception must be taken to these intentionally misleading calculations. The Sept. 14 New York Times reported, after thorough investigation, that there were approximately 200,000 deaths in Syria up to that time, and that there were 84,404 civilian deaths, killed by both the government and the rebel forces. This remains a terrible casualty toll, but to condemn the Assad regime for all of an exaggerated number of civilian deaths is consciously distorted propaganda. According to the Times, the remainder of the deaths were those of government and rebel fighting forces. A few weeks earlier the Syrian Observatory for Human Rights, which opposes the Assad government, reported Aug. 5 that that 330,000 people died and that 111,624 were civilians killed, obviously by both sides. The total is higher but the percent of civilian deaths of lower. The Times, which opposes Assad, had to be aware of the higher estimate before it decided to rely on its own research. The charges against him were instigating unrest, undermining state security and making anti-government speeches and defending political prisoners. His unforgivable « crime » was openly calling for a more democratic society in a totalitarian theocracy. Shia religious or political leaders throughout the world, especially in the Middle East, condemned the Riyadh regime for the execution. Iranian supreme leader Ayatollah Ali Khamenei declared: « The unjustly spilled blood of this oppressed martyr will no doubt soon show its effect and divine vengeance will befall Saudi politicians. » The leader of Lebanon’s Shia Hezbollah movement, Hassan Nasrallah, accused Saudi Arabia of seeking to ignite a Shia-Sunni civil war across the world. Several regional Sunni led countries either broke relations with Iran or reduced diplomatic staff in solidarity with the kingdom. More mary do so. The Arab League will hold an emergency meeting Jan. 10 to discuss the issue. Tehran protest against killing of Sheikh Nimr al-Nimr. The royal family sought an open confrontation with Iran for several reasons. Two stand out. Saudi Arabia has both religious and political reasons for seeking to isolate and weaken the Tehran government and still counts on Washington’s assistance to accomplish the task. 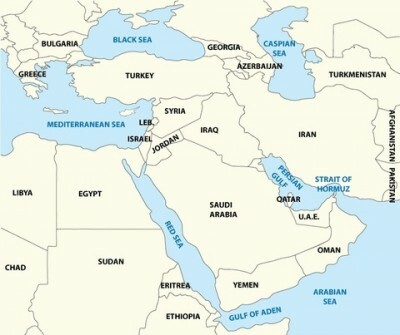 As the wealthy leading Sunni country in the Middle East the kingdom is deeply affronted by the existence of a brash, self-confident, militarily superior, independent and non-Arab Muslim Shia regime glaring face to face with itself across the Persian Gulf, a name the royals choke on and wish to change. It is of consequence that the Saudis responded so theatrically after the embassy brouhaha just two weeks after announcing the creation of an important new Sunni military « coalition against terrorism » that the kingdom will lead with U.S. backing (see below). The Iranian government has a good idea about what’s actually going on. This sectarian chess game has lasted many decades, including when Saudi Arabia last broke relations from 1988 to 1991 over different issues. Tehran doesn’t fall for the one in 47 deception because both sides fully understand it’s only the « one » that counts. The execution was intended to increase tensions, but apparently within limits. 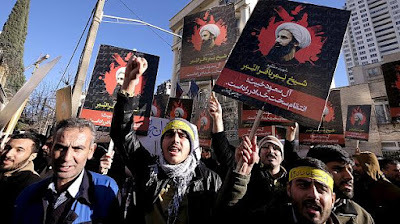 The Iranian government evidently was surprised by the cynical execution of Nimr which they had vigorously warned against in the past, and expressed its rage toward the Saudi regime — but also within certain limits. Threats will go back and forth, and tensions will increase but Tehran does not want this situation to become unacceptably worse; nor, I think, does Saudi Arabia wish it to get out of hand — at lest not yet. (3) With air support from the U.S. and Russia, or Russia alone, a combination of the armies of Iran, Iraq, Syria and the Kurds could defeat IS on the ground — but the Obama Administration has opposed the formation of such an amalgamation. The reasons are political and geopolitical. He wants more Sunni and less Shia involvement. This will strengthen U.S. regional power. Worldwide, there are 1.6 billion Muslims — 87 to 90% Sunni and 10 to 13% Shia. 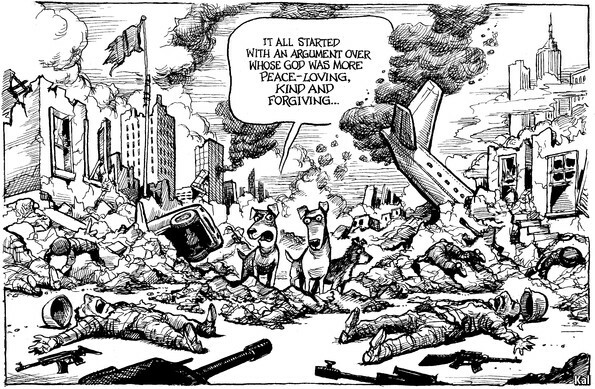 As global hegemon, the U.S. knows that numbers count far more than state-sponsored religious intolerance. The Shia are thought of, and often treated, as an outcast minority by most Sunni authoritarian states in the Middle East, virtually all of which receive America’s support as long as they genuflect to Washington’s strategic leadership. The fact that the Saudi monarchy and others want to displace Syria’s Alawite-Shia government is a prime reason why Obama has called for Assad’s removal for nearly five years. The antediluvian Saudi absolute monarchy — Washington’s closest Arab ally since 1945 when the U.S. pledged to protect royal power in return for secure access to the country’s fabulous supply of petroleum — is the leader of the regional anti-Shia campaign, which the Obama Administration has not publicly criticized. The White House has long been aware that the kingdom repeatedly financed Sunni jihadist adventures from the 1970s (in Afghanistan, along with Pakistan and the CIA) to the various rebel groups in Syria today. Also weighing heavily on White House decisions is the Israeli government’s fabrication that Iran constitutes a threat to its existence, a position evidently shared by vocal majorities in the House and Senate and many liberal Democrats. Obama didn’t allow the Netanyahu regime to bomb Iran, which would have been a catastrophe, and recently reached agreement with unjustly sanctioned Tehran about its nuclear program, throwing billions Netanyahu’s way to calm him down. But in most other respects, except when the Israeli leader purposely humiliates him, Obama easily bends the knee to his manipulative. opportunist and obsessively mistrustful opposite number. But in nearly all cases, what Israel wants Israel gets from Uncle Sam. (4) To seal the bargain with the kings and dictators the U.S. enthusiastically supports Saudi Arabia and its allied emirates in their unjust, venomous nine month bombing campaign against Shia-affiliated Houthi rebels in Yemen, the poorest country in the region. Obama has supplied and re-supplied the aggressors with all types of heavy weapons including internationally outlawed cluster bombs, earning the American « defense » industry $13 billion in sales last year. A few years earlier the kingdom stuffed $60 billion in U.S. war industry pockets. Members of of different tribes in Yemern show support for Houthi militias against Saudi Arabia. Sent to do the dirty work by clean-hands-Obama, Secretary of State John Kerry was obliged Nov. 23 to tell embarrassing lies no one actually believes to the foreign minister of a member of the Saudi anti-Yemen coalition Nov. 23: « We respect what United Arab Emirates has been able to do to accomplish significant progress in Yemen. We understand completely and support the reasons that Saudi Arabia and the UAE felt compelled to take acts of self-defense and to protect the security of this region. 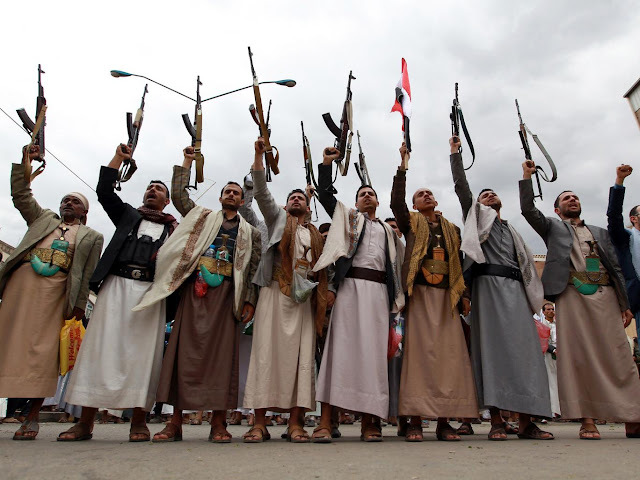 » Meanwhile, units of both al-Qaeda and the Islamic State are exploiting the occasion to grab more territory in Yemen. (5) On Dec. 15 Saudi Arabia announced the formation of a new 34-state Sunni Islamic military coalition under its own leadership. This extremely important event is not connected to the kingdom’s much smaller anti-Yemen coalition, which continues to plod along. Major countries such as Egypt and NATO’s Turkey are members of the new formation. Syria and Iran were excluded from membership. Shia-governed Iraq was not excluded, evidently due to its continuing relationship with Washington. Washington was obviously involved in developing the new coalition and probably functions behind the scenes as a silent partner. Our surmise is that the Sunni alliance will eventually take moderately more action against the Islamic State — a change in some degree from their miniscule efforts to fight IS up to now. In addition, this new Saudi led military coalition seeks regime change in Syria, regards Shia Islam as a religious betrayal to be shunned, and conceivably might be deployed to politically contain Iran or possible for worse purposes. « Worse » may be near, or far. The Wahhabi Saud clan has just accumulated substantially more power and authority in the region, and — despite occasional differences in tactics —is blessed by the higher and more powerful strategic authority at the headquarters of modern imperialism on the banks of the Potomac.